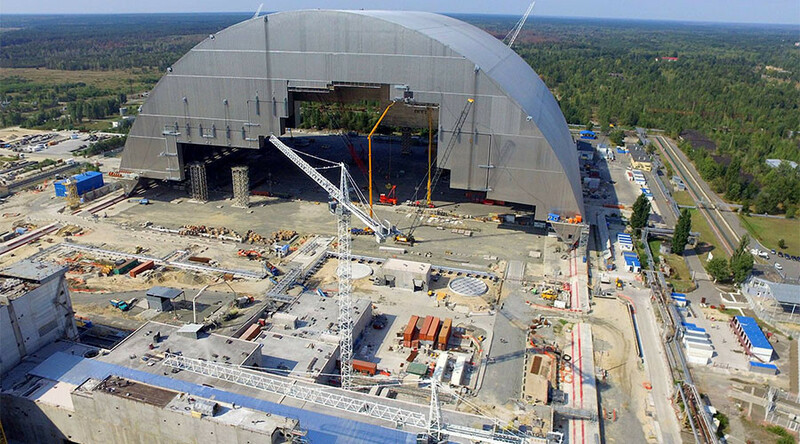 Construction work on the ‘New Safe Confinement’ shield began in 2012 in response to fears that the current concrete sarcophagus would eventually deteriorate and collapse, possibly leading to the release of further toxic materials. This year marked the 30th anniversary of the disaster. At least 49 people died in the immediate aftermath of an explosion at the No.4 reactor at the Chernobyl plant, which sent a plume of radioactive material into the air. Thousands more are believed to have suffered health problems, including cancer, due to the effects of radiation from the blast. The damaged reactor building was enclosed in an emergency radiation shield made of concrete and steel soon after the accident. The new replacement steel shield, built by French consortium Novarka, has a lifespan of at least 100 years and is designed to withstand a tornado. The enormous arch-shaped structure was built in two halves and allows for the partial demolition of the old structure in the future. It has also been fitted with a ventilation system to eliminate the risk of corrosion and resulting repair work over its lifespan. The upgrade is being managed by the European Bank for Reconstruction and Development (EBRD) – the project’s largest single donor, with an investment of €500 million. 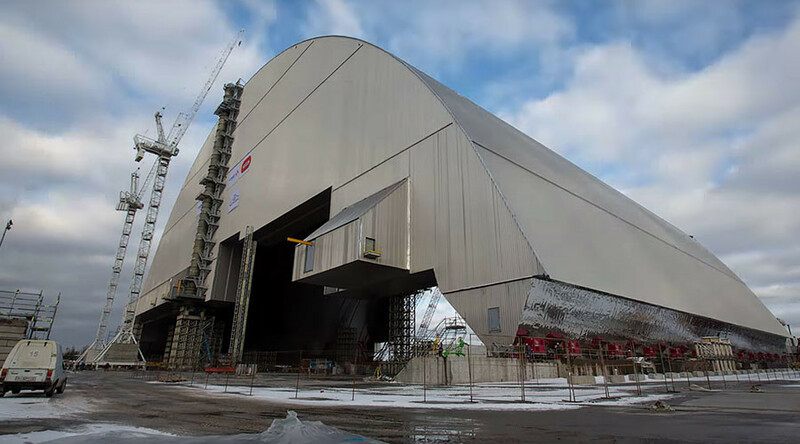 New Safe Confinement is the largest moveable land-based structure ever built, with a span of 257 meters (843ft), a length of 162 meters, a height of 108 meters and a total weight of 36,000 tons (metric), according to the EBRD. In order to reduce the risk of radiation exposure to workers, the shield was not assembled directly above the reactor but in the vicinity of the site and is now being slid into position by a system of hydraulic jacks. “The start of the sliding of the Arch over reactor four at the Chernobyl NPP is the beginning of the end of a 30-year-long fight with the consequences of the 1986 accident,” he said. 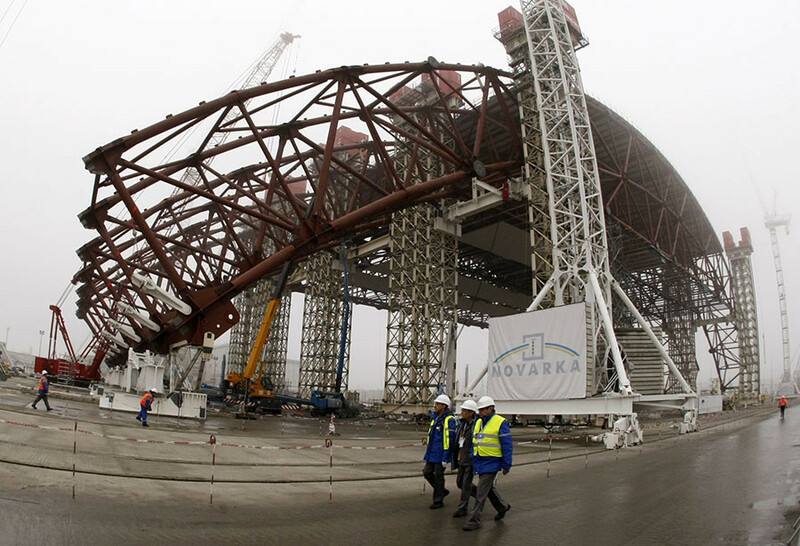 The covering of the No.4 reactor site is expected to be completed by November 29.